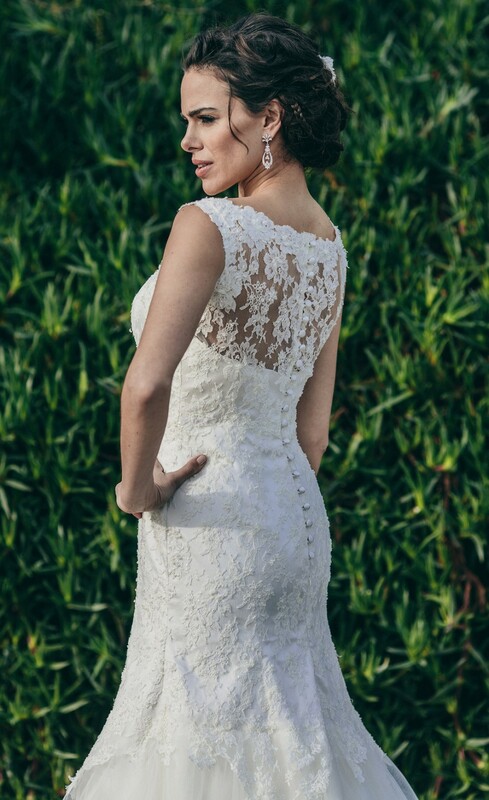 A beautiful lace covered back which shows off the exquisite beaded french lace pattern. Cut in under the bottom to show off your figure then falling into a mermaid skirt made from tulle with lace motifs. 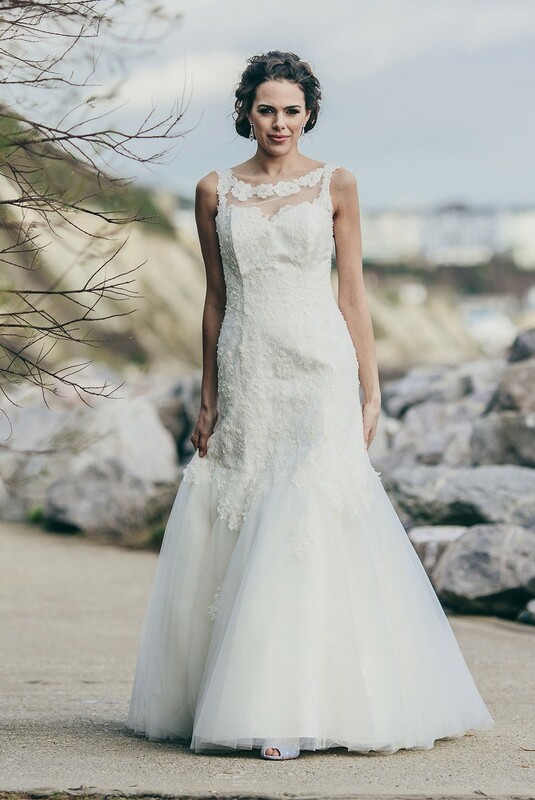 The front neck is high but above a tulle only section edged with the lace flowers.